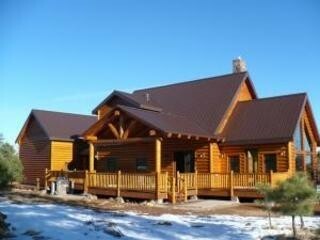 Avalon Enterprises was founded by industry veterans and seasoned business professionals with close to a century of collective experience and more than 1000 Dream Log Homes and Custom Homes built. Avalon Enterprises key personnel originally started as Pond Construction in the later 1980's as a conventionally-built stick home builder in the Treasure Valley of Southwest Idaho. Since that time we have been joined by several people who come from long careers in the log home building and manufacturing business. Combined we feel our team's talents are unchallenged in the industry. Avalon Enterprises has established four separate divisions to be if requested a full service provider for your project. Coupled with our Construction Management program, where we offer a complete open book to our clients. We handle payments directly to our homeowners or their title company or lender and you have the peace of mind that all bills are paid to the subcontractors and suppliers who work on your job. This is the safest most reliable method to insure that your bills get paid for your home. Since our inception, we've built our business and strong reputation on a few basic Core Values that guide everything we do. These include integrity, pride, service, stewardship, and quality. Operating in this fashion has helped us grow Avalon Enterprises be one of the fastest growing, most well respected companies in the business.